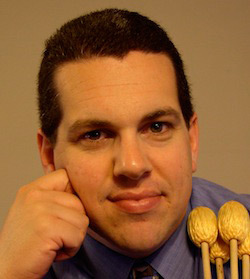 Erick Saoud teaches percussion at Episcopal Collegiate School in Little Rock, Arkansas. He is a member of the Arkansas Symphony Orchestra and a proud endorser of Grover Pro Percussion and Pro-Mark. Erick’s performance schedule takes him to various colleges and universities each year. His 2010 solo recitals will feature two newly commissioned works by Halim El-Dabh and Anthony Donofrio. Recent concerto performances include engagements with the Little Rock Wind Symphony, San Angelo University, McKendree University, and the Hendrix University Wind Ensemble. Mr. Saoud is a consistent contributor to Percussive Notes journal, with articles ranging from advanced marimba techniques to developing a wide-ranging percussion curriculum. His principle teachers were Thomas Burritt, Gary Cook and Norman Weinberg.